In a prior blog, I mentioned that researchers found that regular coffee drinkers who drank more than four cups of coffee a day had a 39 percent decreased risk of two types of head and neck cancer: oral cavity and pharynx cancers. In the study published in the Journal of Cancer Epidemiology, Biomarkers & Prevention, they found however, that coffee did not decrease the risk of laryngeal cancer. Read a CNN report on this here. In a more recent study (Dec 2012), researchers have found that not only does coffee reduce risk of cancer, but that consuming more than four cups of caffeinated coffee per day was associated with a 49 percent lower risk of oral/pharyngeal cancer death relative to no/occasional coffee intake. Coffee contains over 1,000 different chemical compounds, including cancer-fighting antioxidants, and it’s those antioxidants that may provide a “plausible explanation” for reducing the cancer risk as well as cancer death. 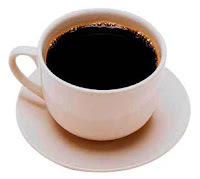 However, patients should not take this study as an excuse to increase their coffee intake specifically to counteract known cancer-causing behaviors including smoking, drinking alcohol, and chewing tobacco. Coffee and Tea Intake and Risk of Head and Neck Cancer: Pooled Analysis in the International Head and Neck Cancer Epidemiology Consortium. Cancer Epidemiol Biomarkers Prev. 2010 Jul;19(7):1723-36. doi: 10.1158/1055-9965.EPI-10-0191. Epub 2010 Jun 22.